The department offers Ph.D. degrees in both mathematics and statistics as well as M.S. degrees in applied mathematics and statistics. We are committed to excellence in research and teaching in a friendly and diverse academic environment. 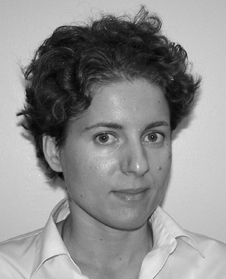 Zoi Rapti is currently an Associate Professor in the Department of Mathematics at the University of Illinois at Urbana-Champaign. Her main research focus is on mathematical biology with applications to infectious diseases. She mostly uses differential equations, both ordinary and partial, and sometimes stochastic models to describe these disease systems. 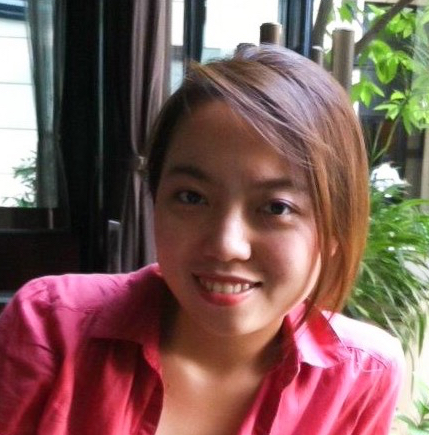 Recently she has become interested in the analysis of epidemic time-series from a data-analytical point of view. She still remembers fondly her time at UMass Amherst. The applied mathematics and analysis professors and, in particular, my advisor Panos Kevrekidis made those five years at UMass both enjoyable and productive. After visiting other graduate programs in the US, I appreciate even more the small size of the graduate program and the attention graduate students were receiving at the UMass program. Having a private office as a graduate student now seems like a true luxury! Having professors that constantly encourage their students to talk to visitors, attend national conferences, write manuscripts and be willing to write recommendation letters and notes to colleagues on their behalf, had long-lasting effects on my career. Julie Rana enrolled into our PhD program after graduating from Marlboro College, a small liberal arts college in Vermont. 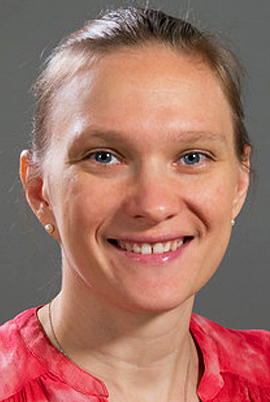 Her thesis "Boundary divisors in the moduli space of stable quintic surfaces", written under supervision of Jenia Tevelev, won the department's distinguished thesis award. Dr. Rana's research interests are in algebraic geometry, which studies shapes defined by polynomial equations using an array of algebraic, topological and analytic techniques. After graduating from UMass and teaching for two years as the Math Fellow at Marlboro College, Dr. Rana held a postdoctoral position at the University of Minnesota in Minneapolis. She is now a tenure-track Assistant Professor at Lawrence University in Appleton WI, where she lives with her husband and their twins Isha and Akash, who were born while she was a graduate student. The best part of grad school at UMass was the community of women graduate students and lecturers in the math department. I honestly don't think I would have finished without their support. I also loved the Valley Geometry Seminar and the Geometry Reading Seminar. Although I was lost most of the time (especially for the first couple of years), I was inspired by the talks at VGS, and really appreciated the opportunity to give talks at the reading seminar. 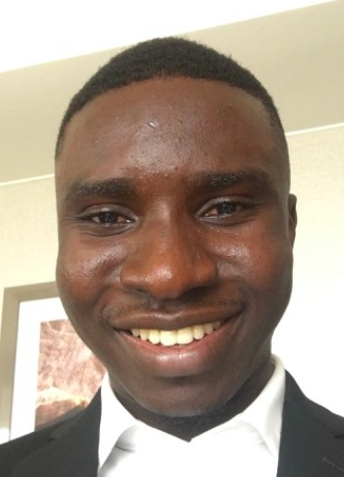 Bright Antwi Boasiako enrolled into our regular MS statistics program in 2016 after completing a BS in Actuarial Science in 2015 from the Kwame Nkrumah University of Science and Technology (KNUST), Ghana. He graduated in 2018 and his current position is Actuarial Assistant in New York Life Insurance Company. One of the things that surprised me the most about the Statistics program at UMass was the welcoming attitude of the faculty, this made it easier to tap into their broad knowledge base and experience. I think it is a thing with the department, everyone I encountered was nice! The program itself has a very strong theoretical foundation of statistics with an opportunity to practice through Statistical Consulting. The consulting bit was extremely helpful. It provided an opportunity to work on real-world problems, and at the same time give back to our community. It was also a great way to learn important soft skills such as communication, professionalism and teamwork through client and team meetings. We were always motivated and empowered to take lead roles in such deliberations. Working in a Life Actuarial role, my training at UMass helps me take a data driven perspective of my day-to-day, in connection with actuarial models, to better understand the mechanics of my job and gain more insight into findings. I feel like I'm my own little consultant at my desk and I owe that to the great work by the faculty and staff at the department! Holley Friedlander is an Assistant Professor in the Department of Mathematics and Computer Science at Dickinson College. She came to UMass after completing a Bachelor of Arts in Mathematics at the University of Vermont. Her research is in number theory, arithmetic geometry, and combinatorial representation theory. As a prospective student, I wanted a supportive program with close faculty-student interaction. The wide range of research offerings at UMass relative to the size of the graduate program allowed me to get to know faculty and explore areas through topics courses and seminars prior to choosing a research focus. I continue to reap the benefits of the many opportunities I had as a student to build my professional network, including the entire semester I spent at the Institute for Computational and Experimental Research in Mathematics (ICERM). The teaching assistantship program gave me experience without overloading me with work, and I have no doubt that my work as instructor of record at UMass and involvement with the Undergraduate Math Club (for which I was awarded the Department?s Distinguished Teaching Award) helped me land my first position as a Visiting Assistant Professor at Williams College. In the years since graduation, the number theory group, especially my advisor Paul Gunnells, has continued to provide mentorship and support my career. Boxuan Cui enrolled into our Fifth Year MS statistics program in 2010 after graduating from UMass Amherst with an BS in Mathematics. 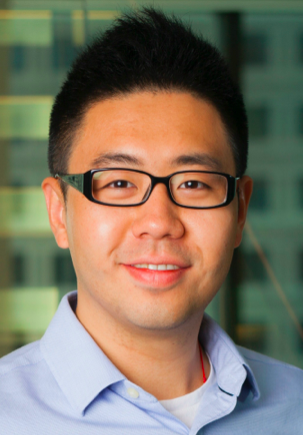 In 2012, he graduated statistics program with an MS and he is currently Data Science Manager at TripAdvisor. Boxuan has a grateful memory of the two years in the MS Statistics program at UMass Amherst. The MS Statistics program offers a great blend of theoretical and applicable coursework. Throughout the program, students not only get to understand complex theories, but are also able to apply the knowledge to real-world problems. In addition to the standard statistics courses, I find the cross disciplinary research, independent study and the statistical consulting service extremely helpful in preparing me for my future career. From data analytics to presentation/communication skills, from coding to prototyping solutions, I have acquired most essential skills to succeed as my career progresses. As a fresh graduate, these also opened doors for various interview and networking opportunities. During my study in the program, there were also regular colloquium and seminars. Students were encouraged to attend and participate, so that they can stay up-to-date with the latest research. These meetings also broadened my views and field of interests, so that I could better understand my personal aspiration, and choose relevant courses to further my learnings. To conclude, I am grateful for everything the MS Statistics program had offered me. It was a key to my next journey after academia, and I couldn't feel more fulfilled having graduated from UMass Amherst, and from this program. 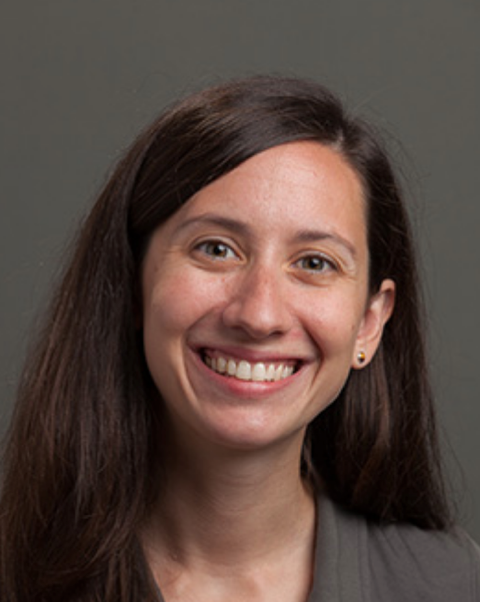 Dr. Isabelle Beaudry graduated from UMass Amherst with a PhD in Statistics in 2017 and currently she is an Assistant professor, Statistics Department at Pontificia Universidad Católica de Chile. My journey as a PhD statistics students began in 2011 after practicing as an actuary for a number of years. The Department of Mathematics and Statistics at UMass Amherst was among my top choices of program because of one of the research areas, that is, statistical methodological for Social Sciences. In addition to the research interests match, selecting this Department to pursue doctoral studies turned out to be a very satisfying experience for a wide variety of unexpected reasons. In addition to the solid, modern and engaging curriculum designed to help students prepare for academic and professional careers, the Department provided me with various opportunities to develop the skills needed to become an academic. Examples of these opportunities included teaching my own courses, participating in the writing of a number of grant proposals, mentoring students, peer reviewing papers, etc. These skills have helped me secure an academic position in one of the highest ranked universities in Latin America. The Department also promotes interdisciplinary research. For instance, the Computational Social Science Institute is one of the initiatives in which various professors and students from the Department participate. This Institute was of particular interest to me due to its research focus, but more importantly, it provides students exposure to multidisciplinary research which highly contributes to the training of well-rounded academics and professionals. One of the main reasons for my positive experience is the incredible dedication of the Faculty members and Personnel from the Department. The professors are available to the students and really go the extra miles to make sure optimal conditions are in place for the students to learn. For instance, regular working groups are organized where students may present their work and hear about others’ work in a friendly environment. Also, I will be forever grateful for the extraordinary support I received from everyone in the Department when I suffered a huge loss in my life. In summary, I am really appreciative of all the amazing individuals in the Department I have met and who all contributed to the successful completion of my studies as well as the quality of the education I received. 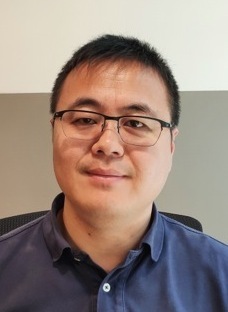 Dr. Xiangdong Gu enrolled into our MS statistics program in 2010 and graduated with an MS in 2012. Currently he is working as Lead Data Scientist at MassMutual Financial Group. Dr. Gu has a very fruitful experience in the MS Statistics program at UMass Amherst. The best thing about this program is that it prepares students not only with extensive practical skills that can be directly applied to real world projects but also with solid theoretical background to understand how things work and solve problems in greater depth. The department is very supportive for students to gain practical experience through industry internship, research assistantship and teaching assistantship (I want to highlight that there are many RA/TA opportunities available even for MS students). Professors here are knowledgeable, helpful and approachable. Students out of this program can easily find industry jobs or enter PhD programs for further study. Ngoc Thai graduated from UMass Amherst with a MS in Statistics in 2013 and she is currently a data scientist at Harvard Pilgrim Health Care where she builds statistical models from large claims and clinical databases to help identify effective interventions for care management programs. 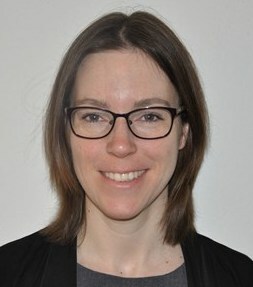 More recently she has also started pursuing a PhD in Population Health at Northeastern University where her research interests focus on social determinants of health and health economics. I owe a lot of what I have been able to do in both industry and advanced study to the Statistics program. In my opinion there are two attributes of the program that were instrumental in preparing me to work as a statistician: the strong curriculum and various faculty-guided research opportunities. The broad curriculum that spanned both theory and applications provided a solid foundation for my work. I studied not only foundational material such as the theory of statistical inference and generalized linear models, but also more specialized topics such as Bayesian Inference and Network Analysis. I am pleasantly surprised at how often this material ties into to my current projects. The department also provided me with valuable opportunities to apply what I learned in the classroom to real-world projects, both through my consulting work with the Five College Consortium and other research opportunities such as the MS final project. For my final project I worked on a social network study with two other graduate students under the guidance of two very engaged faculty members, which was a great opportunity to learn from experts in their fields and collaborate with fellow grad students. Not only did this experience help build my ability to conduct a statistical research study, it also improved my interpersonal skills when working in a team, both of which are highly valuable skills for a statistician. I was also able to showcase this research experience during my job interviews which garnered positive feedback from hiring managers. I feel very fortunate to be able to utilize my statistical training in my work in healthcare research which was something I had hoped to do before the MS degree. This was made possible in large part due to the foundation and direction that the program gave me, and for that I am really thankful. 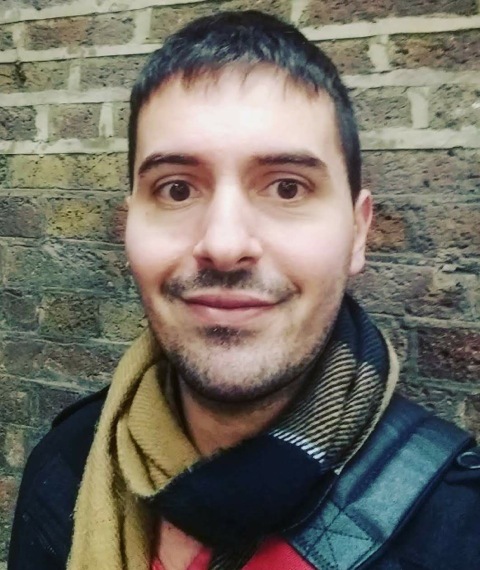 Kostis Gourgoulias is currently a Research Scientist, assisting the research division at Babylon Health with the goal of making healthcare affordable and accessible to every human on Earth. His day-to-day work is split between research work on the mathematics behind generative modelling, amortized inference, and machine learning methods, as well as the development of prototypes for the products at Babylon. He graduated in 2017 with a PhD in (applied) mathematics, jointly supervised by Professor Katsoulakis and Professor Rey-Bellet. His thesis, titled “Information Metrics for Predictive Modelling and Machine Learning”, was awarded the distinguished thesis distinction from the Department of Mathematics and Statistics. I had great fun during my PhD studies in the department. I remember when I first read the acceptance letter (which I still have!) about how intellectually stimulating the studies in Amherst will be -- I now think that is an understatement! Apart from the standard curriculum, I had the opportunity to take classes discussing ideas at the forefront of research in applied mathematics, where we would study and present published work to the rest of the class. The close collaboration of the Mathematics and Statistics department with other disciplines made venturing out and meeting Professors from other departments simple (the department has strong ties with biostatistics, physics, computational social science, computer science, etc., through the work of the faculty) and the applied math seminar always had interesting and varied topics from the frontier. In fact, I was often given the chance to talk to some of the speakers over lunch or dinner, which gave me unique insights into the life after the PhD -- a lot of my fellow graduate students took advantage of this too! I felt like the department supported me throughout the creative process of writing the PhD; I had a lot of attention from the computing centre and other faculty. I never felt uncertain about my funding and communication regarding logistical issues, such as travel funding or summer assistantships, was always clear. When I, with a few friends from biostatistics, engineering, evolutionary biology, and CS, decided to start our own data science group (http://gridclub.io) so that we could practice more in the problems that are of interest in industry, the department had a modern stance and supported the endeavour wholeheartedly. After the PhD I was able to extend my research around statistical inference in the age of super-expressive models, like deep neural networks, etc., and to me, that speaks to the strong background knowledge I acquired by the people in the department and the insightful directions of my advisors. I think it’s a great place for a prospective student to carry out PhD research. The permanent faculty teach most of the graduate courses and provide formal and informal supervision of graduate students' careers. Students also learn a great deal from interacting with each other both in and out of class. The department also has at any time a number of temporary postdoctoral visiting assistant professors. They are usually from one to three years past their Ph.D., and provide a useful bridge between students and areas of current research. The Department currently has 91 graduate students, of whom approximately 27% are women and half are from outside the U.S. We embrace the diversity of our department and community, see our statement on equity, inclusion and diversity. The UMass chapter of Association for Women in Mathematics provides resources and networking opportunities for women-mathematicians. We actively seek to increase the proportion of women and of minority students. Foreign students with strong mathematical preparation and a good command of spoken English are encouraged to apply. The early part of a graduate student's time will be spent on coursework. These courses provide the background necessary for further study in mathematics, and prepare students for the qualifying exams. A diverse group of "topics" courses are offered every year to introduce students to areas in which our faculty are currently working. Students can also take directed reading classes with faculty. Outside of formal class instruction, there are other ways students can participate in the mathematical life of the department. There are a wide variety of seminars covering the range of pure and applied mathematics and statistics, and students are encouraged to attend them to become more familiar with current research. Talks in the department colloquium are meant for a general mathematical audience, and so are generally more accessible to graduate students, and seminars such as GRASS and Reading Seminar in Algebraic Geometry are specifically aimed at graduate students. Our graduate students are funded as Teaching Assistants. The Teaching Seminar helps students to become excellent instructors. Graduate students run a Math Club for undergraduate students. Mathematics and statistics form separate programs within the department; students are admitted either to one program or the other, and permission is required to change programs. The M.S. in pure mathematics is normally only offered to students on the Ph.D. track; we do not generally admit students whose objective is a masters' in pure mathematics. The applied mathematics M.S. program is formally a separate program, with its own requirements and admissions process. It is possible to apply for both the Ph.D. and M.S. in statistics with the same application. A complete description of the requirements for each of these degrees can be found in the Graduate Handbook. More information about graduate options in statistics can be found here. Information on a fifth year MS in Statistics for Five College students can be found here. For more information about the applied math master's program, click here.